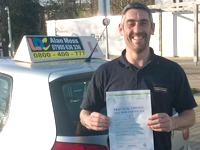 I would like to thank LDC and Alan Moss in particular for helping me through my driving test. From start to finish I found it very easy but also very thorough. 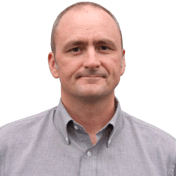 Throughout Alan was very helpful and always there if I had any queries. I also thought the DVD and workbook were good reference points. All in all it was a good experience in which I passed my theory first time and practical first time with only 1 minor. I would highly recommend LDC. Thank you! I'm a driving instructor in Teesside, Ingleby Barwick, Thornaby, Yarm, Stockton on Tees, Redcar, Middlesbrough, Billingham and surrounding areas.